This is probably the most potentially frustrating part of the self-build process. Appropriate land is often hard to come by. And then there is the next hurdle to overcome: planning, plus any potential constraints that would make self-build a “no-go”. But don’t let it get you down. If you want it badly enough, then be patient, and eventually these frustrations will all be history when you find what you are looking for. Select your area – you can waste an enormous amount of time searching for a plot of land. But having an idea of the area in which you are looking is a good start. That said, flexibility gives you more scope. Know your chosen locality – study and research the area. You will be surprised how much useful information you can find out, sometimes to convince you you’ve chosen the right area, other times to urge caution. Visit planning departments of your local authority. Look out for applications for the building of single houses – it could be that the owner of the land is seeking planning permission before selling it (it adds value). If you spot such an application early enough (and land is rarely advertised until planning permission has been granted) you have a head start. Find out who the applicant is, and approach them directly. Contact estate agents. Many have departments that specialise in the sale of land. Build a rapport with them, and make sure you are on their database. Attend property/land auctions. These are held regularly, and any estate agent will tell you when and where an auction close to you is taking place. Alternatively, they are advertised in local newspapers. Look out for a dilapidated property on a suitable piece of land – it could be that you demolish it, and rebuild to your own requirements. Look out for local councils releasing land for self-build projects. A new law, which took legal effect on April 1, 2016, has provided a terrific opportunity for people to build their dream home. The Self Build and Custom Housebuilding Act’ means that all councils in England will have a duty to keep a register of individuals and groups who wish to embark on self-build projects. The local newspaper – buy it and read for potential opportunities. Or place an advert asking for someone to contact you if they have land they might wish to sell. Networking – asking family members, friends, business contacts and associates. There is always ‘someone who knows someone’! You might even find architects ‘in the know’, who may help you for the rest of your project. When you do see a plot of land that appeals to you, check it out thoroughly. Check, check, and triple check – see other Handy Hints on the Timber Innovations website on what to look out for when you finally find an appropriate plot of land. Our InnovationsPLUS service is there to guide you all the way through the self-build process, if you need it. Though we don’t do the land searching for you, we can help, advise, and even put you in touch with others who have been through the similar process. In other parts of our website, our blogs give anecdotal evidence, and advice, from customers who have been in exactly the same situation as you. All of them will tell you that all the frustrations were well worth it in the end, when you finally move into that dream home. Call us: 0121 314 7735. Sometimes, things are too good to be true. And if you are searching for a plot of land for your self-build project, you must be aware of land banking, which can – at worst – leave you seriously out of pocket! The bottom line is this: if the deal for a plot of land sounds too good, it probably is! Take independent legal advice, and if the seller (‘scammer’) tries to persuade you against doing that, then walk away post-haste! A typical land banking scheme involves the ‘scammer’ buying a field on the edge of a village, and subdividing it into “building plots”, to be sold off at prices way below the market rate for genuine building plots of a similar kind. The ‘scammer’ will say the land is likely to be zoned for development, and with it, a huge increase in value. The practice of land banking has been around for years, and has attracted widespread publicity. But it still goes on, and innocent people are still falling victim to the problem. Alas, there is nothing illegal in selling off small parcels of land. The fraud is when the hope value of the land has been offered. How do you spot a scam? Most land bankers don’t advertise; instead they rely on phone calls and the ‘hard sell’ – and they will encourage you not to use a solicitor. We are not in the business of trying to frighten you. Far from it. We just want to warn you that – regrettably – these things exist, and if you are aware of land banking, you are much less likely to be trapped. On a point of principle, when buying a plot of land, always seek advice from an independent source, who is not connected to the seller. If the plot you are considering to buy does not come with planning permission, always check out the viability of your project with the local authority planning department. If you have reason to suspect a deal you are being offered, find out who is offering it to you. Get contact details, check them out, and if you have serious doubts, contact the Police, or the Financial Control Authority, who are actively pursuing land bankers. You’ve found the land, you’ve been in touch with the local authority planning department to check there are no restrictions preventing or limiting development, the purchase has been made, and now you need to find a good architect to help design your dream home. Most self-builders have a good idea of what they want their dream home to look like, but few are able to convert the dream into a realistic design, that takes into account many of the incidentals that most of us would never think of. So here’s the Timber Innovations ‘Handy Hint’ guide to finding a good architect to work with you. Architects are the people who take on board your ideas, and come up with a design that matches your wishes, but takes into account all the various issues that need to be dealt with in the building of a home. The architect may also suggest alternative designs which further enhance your requirements and expectations. A good design will add value to your completed home, and an architect is also there to look out for energy saving solutions, making the most of space and light, suggesting alternative or sustainable materials, finishes and fittings should you so desire. An architect can also hold your proverbial hand through the tricky process of legislation, regulations and contractual obligations, and also keep a check on the build process, in terms of standards, timescale and budget. Costs will depend on size, type and complexity of project. As with every professional service, it is best to shop around and ask for quotes. Just as important, is the working rapport between yourself and the person you engage. Before hiring an architect, it is worth asking them for their RIBA membership number. Having selected your architect, agree a formal contract of engagement. RIBA publishes a range of legally recognised appointment contracts that are designed to cover a wide range of project types, including self-builds. In the unlikely event that things go wrong, RIBA will give you all the advice you need. Sourcing your land is one thing, but gaining planning permission to build and develop can also be frustrating. It would also be remiss of us not to warn that it can be a drawn-out process, too, and cause delay and disruption to any project. But any self-builder will tell you that in the greater scheme of things, it’s short term ‘pain’ for long term gain! Before purchasing land, it is imperative to check on the status of planning potential. The land needs at least outline planning permission – which means development is possible. For a development to start, it needs full planning permission. Work closely with the architect you have engaged to design your home. The architect you choose to work with will have a big input, and assuming you opt for a local person to work with you, will be well aware of the ‘whys and wherefores’ of the local authority, and any issues that will need to be addressed. Seek pre-application advice from the local authority. Talk over your plans with a member of the planning team, and good advice should help you in the process that follows. If relevant, speak to neighbours. You can discuss and address any possible issues they might raise, should there be any. You can appoint someone – your architect for example – to represent you during the planning stage. You do not need to own the land to be able to apply for planning permission. 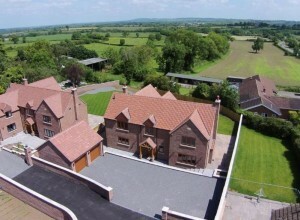 It might be that having outline planning permission is a condition of buying the land you have found. But if you do this, you must inform the owners. What happens then, is that the local authority dispatch ‘consultations’ to organisations that include the Environment Agency and the parish council. And don’t panic if your project is initially turned down. Making amendments can be a more effective reaction that an appeal, which can be drawn out. Discuss the reasons for refusal, adapt accordingly, and make a fresh application. Your architect will advise and assist through this process, should it arise. As we say, it can be frustrating, but with the right guidance and advice, it is less painful than it otherwise can be. You’ve found your plot of land, you’ve hired your architect, got a fantastic design, and been given the ‘go-ahead’ by the local council planning office to start building your dream home. Bring it on! The next step is hiring the team to do that. And it’s a big decision to take. It is imperative that you choose the right build team – one that you trust, get on with, can sort out any little difficulties in a professional and mature way, and who regard the building of your dream home as a privilege rather than ‘just another job’. …or as project managers for the whole process, through to completion through Innovations PLUS – a new venture which offers a comprehensive, all-inclusive support service to self-builders. Our Innovations Plus package is the complete wrap-around service to those undertaking a self-build project. We know from feedback that many people taking such a big step value advice and direction on the complete project, and we have the experience and expertise to offer a service that embraces the complete process. We’re here to help you through the process, from start to finish. We have the experience, and we want to use our knowledge to the benefit of your self-build project – giving you peace of mind from start to finish. 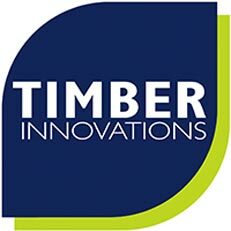 For more details, call us on 0121 314 7735, or email our team: info@timberinnovations.co.uk and we’ll be in touch. Timber frame is the oldest form of construction, and still one of the most popular in the world today. Indeed, timber frame is the most common build method for self-builders in the UK, currently today, with a market share of over 75 per cent. In Scandinavia, timber frame is the most popular form of building construction, because of its suitability for a cold climate, where homes need to be able to be build fast, be energy efficient, and keep the occupants comfortable throughout the year. Greater accuracy and design flexibility: guaranteed accuracy with components fitting together exactly as designed. Your windows, fitted kitchens, and bedroom installation will be effortlessly easier. Obviously, the merits of using timber frame go deeper than our top five reasons, but this is a simple starting point for you. 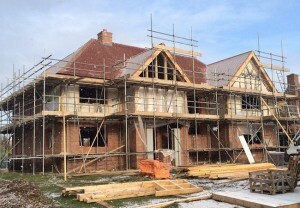 If you’re embarking on a self-build project, need help and advice, and want to talk timber frame for your build solution, then we would love to hear from you and discuss how we can support you all the way through the process, and give you the benefits of our specialist knowledge and experience in supplying you the very best, bespoke, timber frame package you could wish for. ‘The Self Build and Custom Housebuilding Act’ means that all councils in England now have a duty to keep a register of individuals and groups who wish to bring forward self-build projects. The law is targeted to help individual self-builders, allowing them to gain access to council-owned land, which would be supplied as viable, serviced building plots. You are only eligible to be registered if you plan to build a home that you will live in as your primary residence. This is to protect opportunities fr genuine self-builders, and to exclude developers who plan to sell the home(s) they build, or people only looking to build a holiday home. Many people within the self-build industry are describing this new law as the most significant development ever. And with it will be a big increase in the number of people who choose to go down the path of self-build. As part of government plans to provide more homes, new measures and guidance have been put in place to set out the procedure local authorities will have to adopt when people wish to register their interest for a plot of land. Brandon Lewis MP, the Housing and Planning Minister, said the Government is meeting the demand of an increasing number of people who want to build their own home. He says the new law will help “unlock the massive potential” the self-build industry has to expand and help meet our future housing needs. For more details on self-build projects, call our Solihull headquarters on 0121 314 7735, or email our team: info@timberinnovations.co.uk. Units 18 & 19, Monkspath Business Park, Highlands Road, Solihull, B90 4NZ. First of all, DO NOT RUSH IN! Where are you are going to live when you start your project? Your answer is very important as where you intend to live whilst you build will have an impact on your affordability to borrow monies to build your dream home. For example the monthly rental payments or monthly mortgage payments will have an impact on your affordability calculation. Some lenders will accept you making upfront rental payments therefor you will not have an impact on your monthly income versus expenditure. Each Lender’s criteria is different, ensure they are aware of your build type and of the payment terms and conditions your supplier has stipulated. Do not agree any payment schedule with your Builder / Build Material suppliers until you know how the Lender will release funds. Full Project Costs / Budget Control Estimate will need to be identified (Estimated). You must demonstrate to the Lender that you will have sufficient funding ability and competence in place to complete the project add a 20% contingency! Ensure that you include a minimum of a 20% contingency built into your Build Costs Estimate. Total Project costs to be evidenced on each supplier letter headed paper. NOW you are ready to discuss the Mortgage / Funding you require to undertake your project! Processing a Stage Release Mortgage – A typical time scale is up to three months. Consultants / Brokers / Banks and Building Societies will carry out a “forensic” analysis of all supporting document, in particular income and expenditure cross checking with the bank statements. There are a number of options for financing a “self-build” project; namely a Stage Release Mortgage, Bridge facility, and or raise capital against an existing property. Rates of Interest are higher than standard house purchase / re-mortgage rates of interest and vary from 3.75% to 6.5% per annum, the arrangement fees also vary from lender to lender. Bridging facilities are more expensive ranging from 0.59% to 1.5% per month and the arrangement fees can be quite high; between 1% and 2% of the total borrowing facility. With or without incurring exit fees. You may be tied into the lender for between 1 year and 3 years, again lender and product dependant. Consultant / Broker fees vary, beware of “hidden” fees that you only become aware of at a later stage. As a guide to help you gauge your potential borrowing facility the income multiplier may be: Single application: up to 4.5 single income. Joint mortgage application: up to 4.5 highest salary plus second applicants salary, or 3.5 times joint income. This is purely a guide. Banks and Building Societies apply their own affordability calculation to assess your borrowing limits. Check your own affordability:- Would your net monthly disposable income enable you to borrow funds based on a stress test rate of interest of up to 7.5% on a Capital and Interest Basis (Repayment)? A mortgage will not be granted if it is deemed not to be Affordable and Responsible lending! Please note; Have open dialogue with all your contributors to ensure the Lender’s stage release funding model is compatible you their payment terms. Cash Flow Management is critical! A Bank or Building Society will not release initial funds until you can demonstrate that you have adequate Site Insurance and a10 year Structural Warranty Policy. Subject to affordability, Banks and Building Societies have a healthy appetite to lend on Residential Construction Projects providing due diligence has been carried out by YOU, the client, on ensuring YOU engage the “Appropriate” team(s) to achieve the successful construction of your New Home. RESEARCH, DEFINITION AND COMMUNICATION WITH ALL ASSOCIATED PARTIES ARE KEY CONTRIBUTORS TO THE SUCCESSFUL CONSTRUCTION OF YOUR NEW HOME!